I love that these are made in a crockpot. No worries about burning the sugar. I love making cinnamon spice nuts every autumn. I always smell them cooking at the festivals, then want to run home and make them right away! I’m loving the slow cooker aspect of this. I have never added that many spices to my candied nuts and now I’m wondering why not! 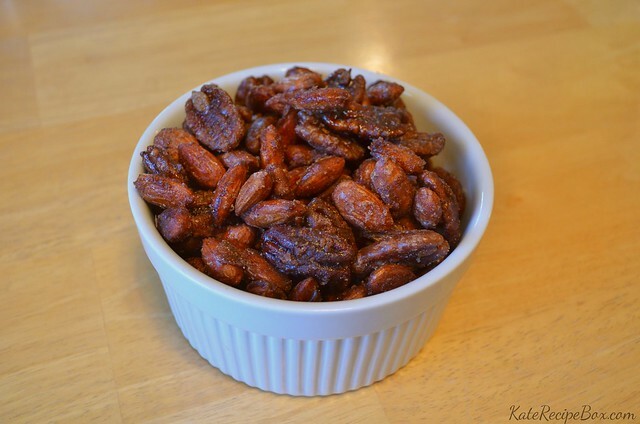 Great choice and I love being able to make them in a slow cooker! !